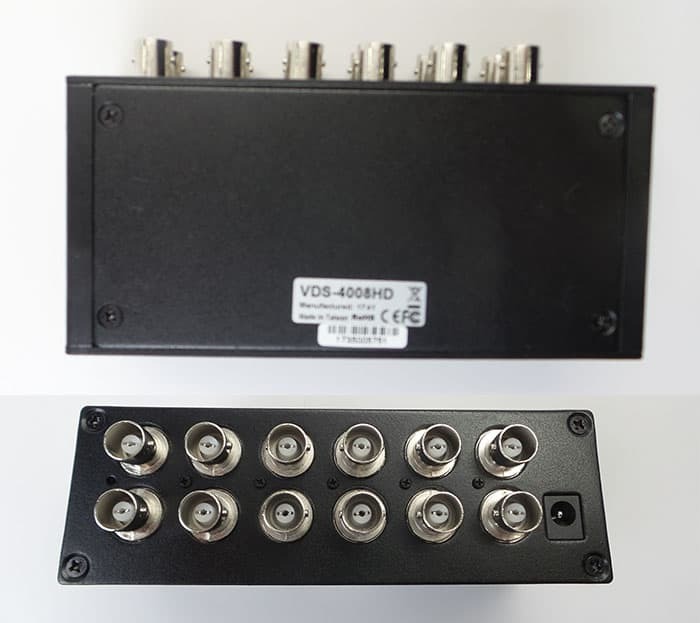 The VDS-4008HD is a 4 to 8 BNC video splitter that supports AHD, HD-TVI, HDCVI, and analog CCTV security cameras. The following video resolutions are supported: 5 Megapixel, 4 Megapixel, 3 Megapixel, 1080p, 720p, 960H, D1, CIF. Each of the 4 BNC video inputs is split into 2 BNC outputs. 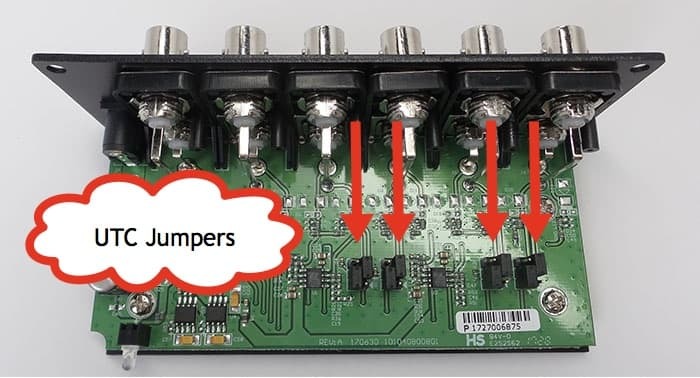 This HD CCTV video splitter is typically used to run video from multiple cameras to two outputs such as monitors and DVRs. The built-in transient voltage suppression (TVS) protects each device from power surges. Many of the HD security cameras, including PTZ cameras, support "Up the Coax" operations. UTC allows PTZ cameras to be controlled without running any additional cable. The pan tilt zoom functions are communicated by the DVR over the same coax cable as the video. Some non-PTZ cameras that have an OSD (on-screen display) to configure color, lighting and other settings support UTC to access the on-screen display. Supports UTC via output one for each input. UTC is ONLY supported for HD cameras - NOT analog CCTV. Internal jumpers must be set for UTC mode. To enable UTC, the case of the VDS-4008HD must be opened to access the jumper settings. To open the case, remove the 4 screws on the bottom of the case and the 4 screws on the front of the unit. With those 8 screws removed, the board can be slid out of the case. You can see the location of the 4 UTC jumpers in the above image. The position they are in above is video output only mode - no UTC. This is the default from the factory. Each of the 4 channels can have UTC enabled/disabled. Video only mode is the default from the factory and shown above in green. To enable UTC on any channel, change the position of the 2 jumpers associated with that channel. Shown above in orange.